Double your warrantywhen you purchase from Staminaproducts.com. When you elevate your reformer, you’re not just making it easier to mount and dismount; you’re making it possible to perform more advanced Pilates exercises. The AeroPilates Stand is made specifically for AeroPilates reformers with the large frames, lifting them 10 inches off the ground. The rubber-tipped legs prevent skidding to keep your reformer stable even in the most intense of Pilates workouts. Even more, the stand is convenient. The six easy-to-remove pull pins allow you to assemble and disassemble your stand with ease. Compatible with 55-4695, 55-5000, 55-5001, 55-5002, 55-5003, 55-5004. 55-5005, 55-5006, 55-5007, 55-5008, 55-5010 and 55-5516 reformers. Use with Stamina AeroPilates reformer models that have the large frame for easy mounting and dismounting and to perform more advanced exercises. Stamina's AeroPilates four cord reformers fit securely on the stand. Interlocking pins for easy assembly and disassembly. Use with the AeroPilates four cord reformers to build total body strength and flexibility, and to relax the mind. Stamina Products Inc. warrants our products to be free from defects in materials and workmanship at the time of the original purchase from an authorized retailer. In the event that a product becomes defective, please contact us by phone at 1-800-375-7520 or send written notification to the address listed on the Contact Us page of this website. If the defect is under the limited warranty, you may be requested to return the product or part to us for repair or replacement. Stamina Products Inc. reserves the right to require the customer to pay for the return shipping of the item. Warranty information on a specific product can be found toward the back of the Owners Manual or you can call us at 1-800-375-7520. The warranty will not apply to any product that has been subject to commercial use, abuse, misuse, or any type of modification by the consumer. To confirm your rights as described in the warranty statement, be sure to complete the Product Registration Card and mail it to us promptly! Or register on-line here. Note: Some states do not allow limitations on how long an implied warranty lasts, so the above limitations may not apply to you. Some states do not allow the exclusion on limitation of incidental or consequential damages, so the above limitations or exclusions may not apply to you. This warranty gives you specific legal rights, and you may also have other rights which vary from state to state. In 1986, California voters approved an initiative to address concerns about exposure to toxic chemicals. That initiative became the Safe Drinking Water and Toxic Enforcement Act of 1986, commonly known as Proposition 65. 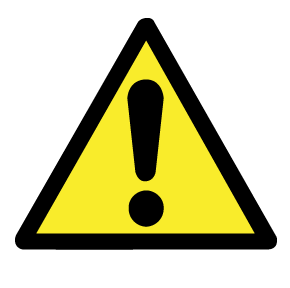 Proposition 65 requires the State of California to publish a list of chemicals known to cause cancer, birth defects, or other reproductive harm. This list, which must be updated at least once a year, has grown to include over 900 chemicals since it was first published in 1987. Proposition 65 requires businesses to provide Californians with a clear and reasonable warning about chemicals in the products they purchase, in their home or workplace, or that are released into the environment. By providing this information, Proposition 65 enables Californians to make informed decisions about protecting themselves from exposure to these chemicals. Proposition 65 also prohibits California businesses from knowingly discharging significant amounts of listed chemicals into sources of drinking water. The Office of Environmental Health Hazard Assessment (OEHHA) administers the Proposition 65 program. OEHHA, which is part of the California Environmental Protection Agency (Cal/EPA), also evaluates all currently available scientific information on substances considered for placement on the Proposition 65 list. While the proposition was created to protect drinking water sources from chemical contamination, the scope of the law has expanded over the years. It now includes over 900 chemicals and also pertains to (but is not limited to) exposure through touch, inhalation, ingestion, or skin contact. The Proposition 65 warning can now be found on products that may contain a small amount of over 900 chemicals or ingredients that the OEHHA lists as a carcinogen or reproductive toxicant. This includes vinyl, coatings, plastics, and much more. Many of the elements listed under Proposition 65 are common additives found in everyday items. Because of the vast array of products that might contain one of the chemicals or ingredients on the list, we must include Proposition 65 warnings in our communications with you. We are required to use exact wording as specified by the state of California. While the warning sounds alarming, the purpose is to notify you of the potential risk so that you can make an informed buying decision. Why don’t all distributors of exercise equipment provide warnings on their products? Stamina Products complies with all federal and state regulations regarding toxic chemicals and heavy metals. And while we cannot control what our competitors do, we can make sure that our products comply with the requirements of Proposition 65 so our customers can make an informed buying decision. Why are all products labeled instead of only those that are sold in California? Our products are distributed nationwide. It would be very difficult to determine which products will ultimately be bought, sold, or brought into California. Therefore, to ensure that we are in compliance with Proposition 65 requirements, we are including the warning in all of our products. Copyright 2017 © Stamina Products, Inc.